Harshiv is responsible for the oversight of the provision of funding for the Commercial Litigation Department. Specifically, he takes an overview of all cases within the Commercial Department and, alongside the Investment Managers, undertakes key commercial and financial structuring decisions to ensure the successful funding of matters. He has particular expertise in formulating innovative financial models, identifying the need for and executing rapid deployment of funding. Harshiv continues to actively manage a varied caseload working with key clients and provides valued commercial input to achieve successful outcomes. 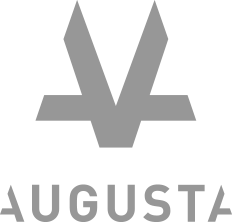 He is also a key contributor to thought leadership at Augusta and remains at the forefront of the fast-moving world of funding. Harshiv also maintains other business interests outside Augusta. He pro-actively manages his own residential real estate investment and development portfolio, and he sits on the board of two high-growth London based start-ups, one of which he is a major shareholder in. Prior to joining Augusta, Harshiv trained and qualified as a Litigation Solicitor at Mishcon de Reya. Harshiv holds an LLB (Hons) from the University of Manchester and is admitted as a Solicitor.